Nanuka Khatri, Uddhami Nari Samuha’s treasurer, makes handicrafts from recycled products. Photos by Chadani Pandey. A recycling project empowers women in Nepal. 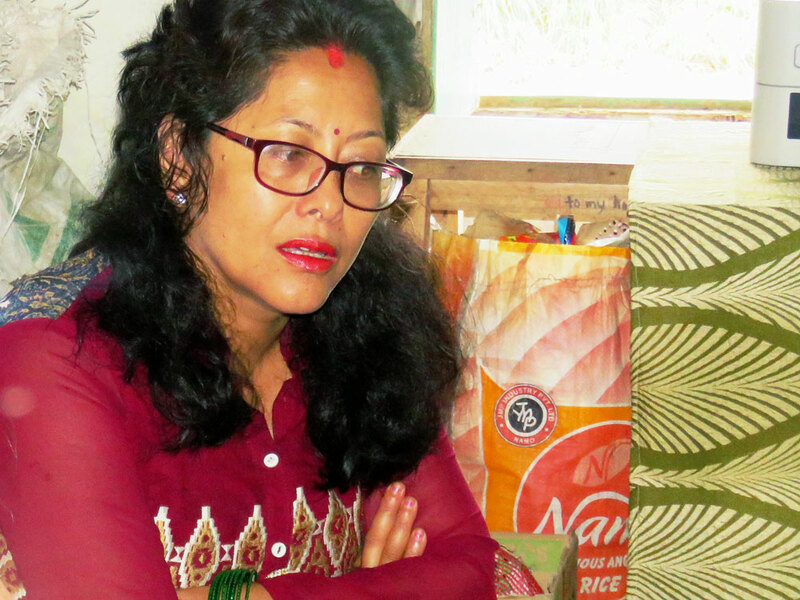 Sunita Karmacharya, vice president of Uddhami Nari Samuha, a women’s entrepreneur group that makes bowls, plates and other decorative items from recycled materials. “I had no confidence and made no economic contribution to the family,” says Sunita Karmacharya of Ilam, Nepal, about her old life. “I could never visualize myself walking out of my kitchen. I was like a frog in a well.” But then she heard about the PPP for 4Gs project, funded by the European Union/Switch Asia Program. 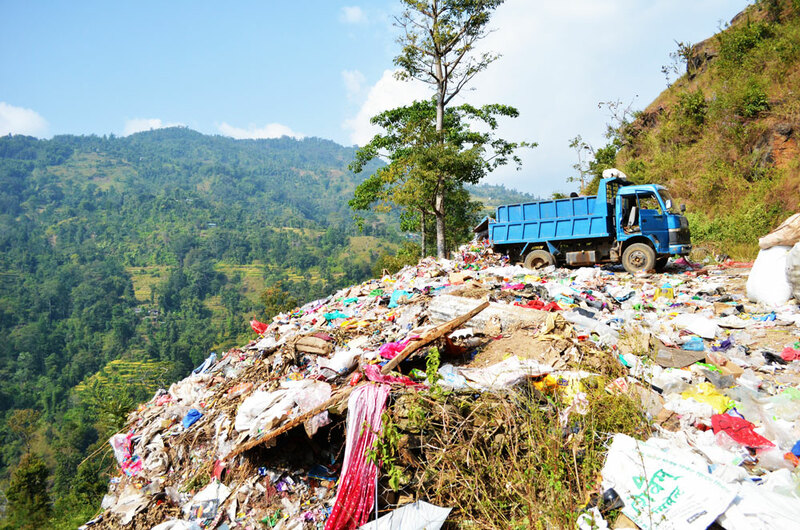 In Ilam, 80 percent of waste is reusable and recyclable, and the project’s needs assessment identified the conversion of waste into value-added resources as a desirable goal. The project supported the registration of four new waste management small- and medium-sized enterprises (SMEs) and provided waste-based income generation training to them. In no time, the waste was converted into beautiful plates, bowls and other decorative pieces. Women of the area — including Karmacharya — started to take interest when they saw these handicrafts for sale. After the project trained women on the reduction, reuse and recycling of Ilam’s solid waste, a group of 35 women, including Karmacharya, registered the Uddhami Nari Samuha (Women Entrepreneurs Group) with the project’s help on April 3, 2017. “I have always been fascinated by creative ideas, and the project instilled the innovative concept of converting waste to value-added resources and how that can directly contribute to income generation,” Karmacharya says. Uddhami Nari Samuha produces plastic baskets, body scrubbers, soap cases, paper bags, paper vases and tea mats. It takes three to five days on average for a woman spending three to four hours a day to complete each product. The products are inexpensive — ranging in cost from $2.50 to less than a dollar — and the project has established good national and international linkages for the SMEs.“Through the project, we have been able to coordinate with local institutions such as the Ilam Municipality, Ilam Chamber of Commerce and Industries and other organizations to purchase our products in programs to reward guests. They have started the purchase and this has motivated us to customize the products and market them further,” Karmacharya says. The Ilam Municipality waste dumping site. The PPP for 4Gs project has reduced solid waste disposal in Ilam’s landfill sites by 88 percent. The PPP for 4Gs project has reduced solid waste disposal in Ilam’s landfill sites by 88 percent by installing a composter and strengthening waste management SMEs. And it has also boosted the self-esteem and livelihoods of women in Uddhami Nari Samuha. “It was an accomplishment when one member shared that she could financially contribute to the Teej celebration (a special festival for women) and is taken seriously in her family,” says Nanuka Khatri, Uddhami Nari Samuha’s treasurer (pictured in top photo, above). The money women earn go to pay school fees for their children or to recharge mobile phones to better connect with their husbands abroad. The economic empowerment improves family relationships. “Our SME is the active agency of women that reinforces the well-being of families,” Khatri says. For Karmacharya, it’s never a challenge to find the raw material for her creations. The behavior change created by PPP for 4Gs has sensitized residents of Ilam. As a result, shopkeepers, schools, institutions and others provide sorted plastic and papers to the company. 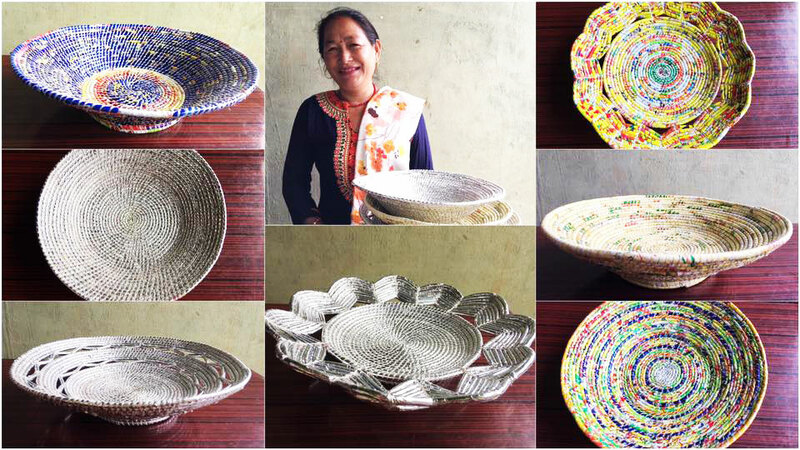 “I trained three women and I’m proud to see how they use their free time, making plastic baskets and selling them from a shop,” Karmacharya says. 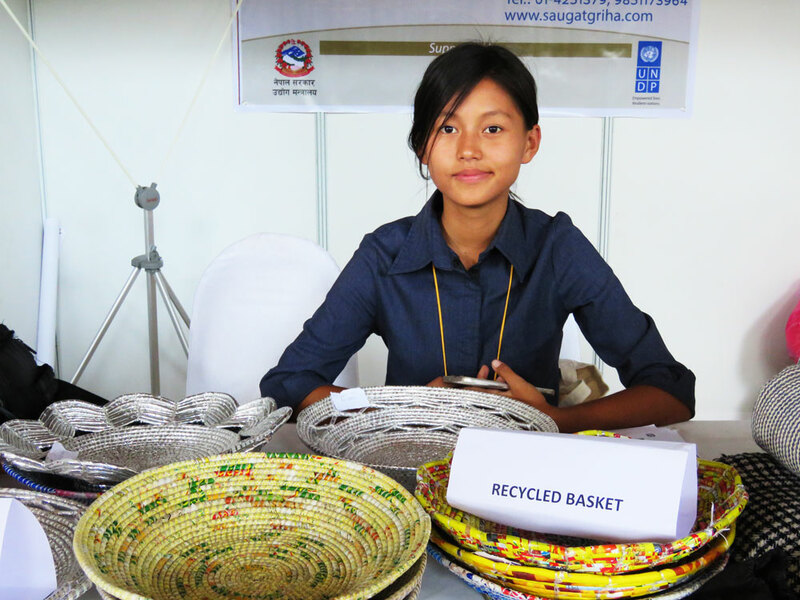 Rita Rana of Manakamana Uddhami Samuha and her recycled products. Uddhami Nari Samuha is not an isolated case. With project support, Rita Rana registered another woman’s group, this one called Manakamana Uddhami Samuha (the Manakamana Entrepreneurs Group). Converting refuse into sellable products motivated Rana to refine her skills. “I didn’t want to limit myself to the designs learned from project,” Rana says. “I refer to YouTube to make creative products.” Her daughter helps her choose the colors and designs. “We want to scale up our business, and we are glad that the project is helping in establishing market linkages,” Rana adds. The project booked her a stall to market her products at the 16th International Entrepreneurship Forum Conference organized by Yunus Center, the University of Essex, King’s College and the Tata Institute of Social Sciences (TISS) in Kathmandu in September. Rita Rana’s daughter exhibits Manakamana Uddhami Samuha’s products at the 16th International Entrepreneurship Forum Conference. “Refuse in use has made a remarkable achievement in sustainable solid waste management, as 80 percent of waste in Ilam is now reusable and recyclable. Improved livelihoods with improved family relationships have made this intervention a model, ensuring women’s empowerment through waste management SMEs,” says Badri Nath Baral, project manager for PPP for 4Gs.